The 2018 RC Manubhai/ APCO Coatings International Veterans Tournament will be played this weekend at Churchill Park in Lautoka. Fiji FA chief executive officer Mohammed Yusuf confirmed that eleven teams will participate in the over year’s tournament with one overseas team. “It has been confirmed that ten teams from Fiji and one team from NZ will be competing in the tournament,”Yusuf said. The pool draws for the tournament was done on Sunday at Churchill Park in Lautoka. In pool A is Lautoka Masters, Nasinu Masters, Ba Legends and Rakiraki Western Legends. Pool B consists of NZ Labasa, Suva Masters, Tavua Masters and Lautoka Vetetans. Pool C have only three team with defending champions JK Nadi Veterans, Rewa Veterans and Nadro Stallions. Yusuf said the tournament was not played for fun but to keep our former players fit and healthy. “This tournament will not only bring our former players together but will make them fit and healthy, ”Yusuf said. He said the fans would also be able to meet and greet their former legends. “Fans can also meet and greet the former district and national reps at the grounds and watch them playing. Fiji FA president Rajesh Patel while doing the pool draws said the tournament was been held for past six years to look after the welfare of the children’s education of some of the former reps.
“As Fiji FA’s social responsibility the money generated from the tournament is always distributed for the welfare of the children of former national reps,” said Patel. 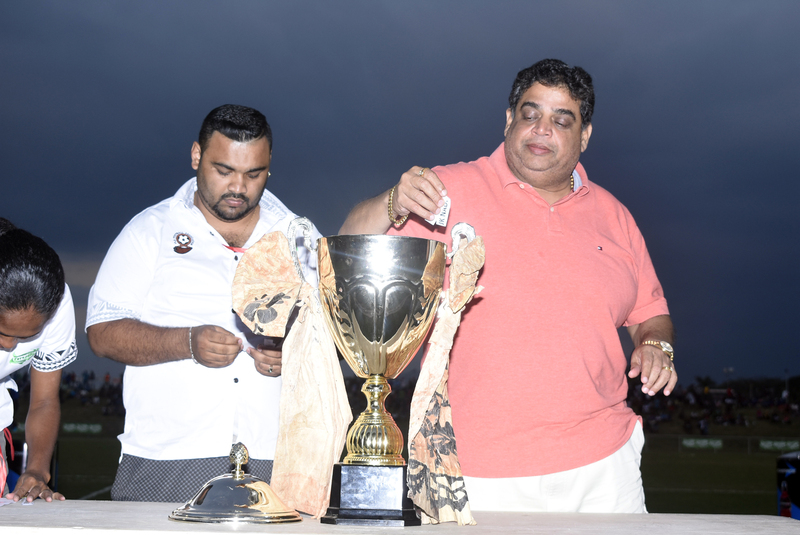 The final of the 2018 RC Manubhai/ APCO Coatings will be the curtain raiser during the final of the 2018 INKK Mobile Battle of the Giants tournament on Sunday at Churchill Park in Lautoka. Previous Post BOG tickets on sale from Monday. BOG tickets on sale from Monday.